I've done it this year! I've managed to resist taking my Peyrassol allocations as long as I could so that we don't have the same issue we always have...which is that the wine arrived in April or May and then was gone by early June and the rest of the summer was spent disappointing people as to its availability. 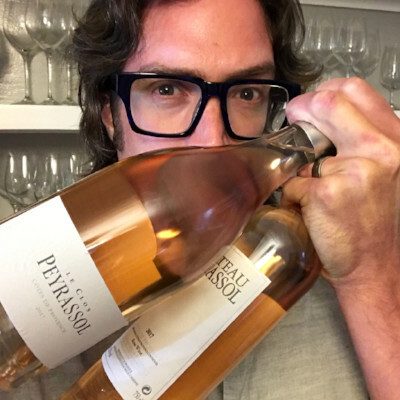 2017 Chateau Peyrassol, the wine that used to be the top bottling that we received from them and was the gold standard for Proveçal Rosé - I say was because that was before this other wine joined the party in the US last year - and the Le Clos Peyrassol, which is now, IMO, the finest example of pink, elegant, aristocratic Provençal character that you can buy. Both of these 2017s are lovely. The Chateau, as always, is an exercise is the airy, herbaceous complexity that you can achieve all without the overly pink, bubble-gummy flavor that is so prevalent among mass-marketed Rosé. The Le Clos takes things to a whole new level. It shows even more of that spicy, herbaceous complexity, but the structure and texture are also more intense and tightly-knit. Really, the Clos is a vin de garde Rosé that will actually taste better next Summer...but it's also pretty dang good right now. Picture a pink wine with the firm backbone you expect from a Bandol, but with subtle, ineffable beauty of Cotes de Provence. So there you have it...a wine that is pound-for-pound the best Rosé from Provence and another that is just the best Rosé from Provence. These are in stock now and THE LE CLOS IS EXTREMELY LIMITED.